In business since the beginning of the 20th century, Hardy Mattress has acquired an undeniable know-how in the mattress and padding industry. Initially a manufacturer of army mattresses and adapted sleeping bags, the company soon developed an outstanding reputation for itself. Moreover, the company is proud of pioneering the first sleeping bag to have climbed Mount Everest in the early 20th century. 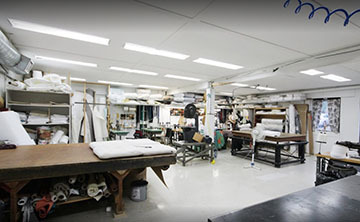 Led by M. Antonio Lepage since the 1970s, this family business has since evolved its offered products and services, notably with the creation of personalized bedding items, furniture restoration, as well as the design of all kinds of cushion padding and of orthopedic beds. Offering a wide range of high-quality fabric and materials, Hardy Mattress is equally known for the personalized manufacturing and restoration of seats, beds for watercrafts and recreational vehicles. 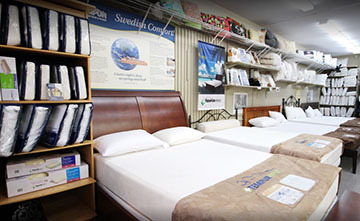 For Hardy Mattress, quality and comfort are of major importance. As of now, a mattress has been delivered to Ottawa, to the residence of the Governor General of Canada, for the greatest comfort of Her Majesty the Queen Elizabeth. Furthermore, the reputation of Hardy Mattress has attracted the interest of multiple national league hockey players as well as the Prime Minister of Ontario for the purpose of creating customized beds and mattresses.